The gel formula is thicker than the spray, allowing more control with certain rusted stains and surfaces. 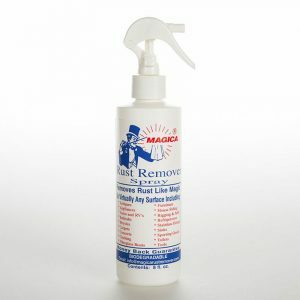 Magica Rust Remover gel comes in a convenient, easy-to-use squeeze bottle. 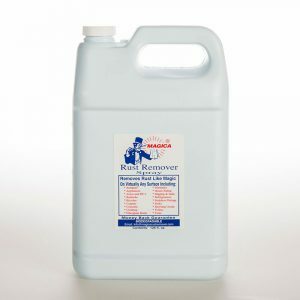 The formula is thicker than the spray, allowing more control with certain rusted stains and surfaces. Magica Rust Remover gel is more adhesive and does not run or drip. 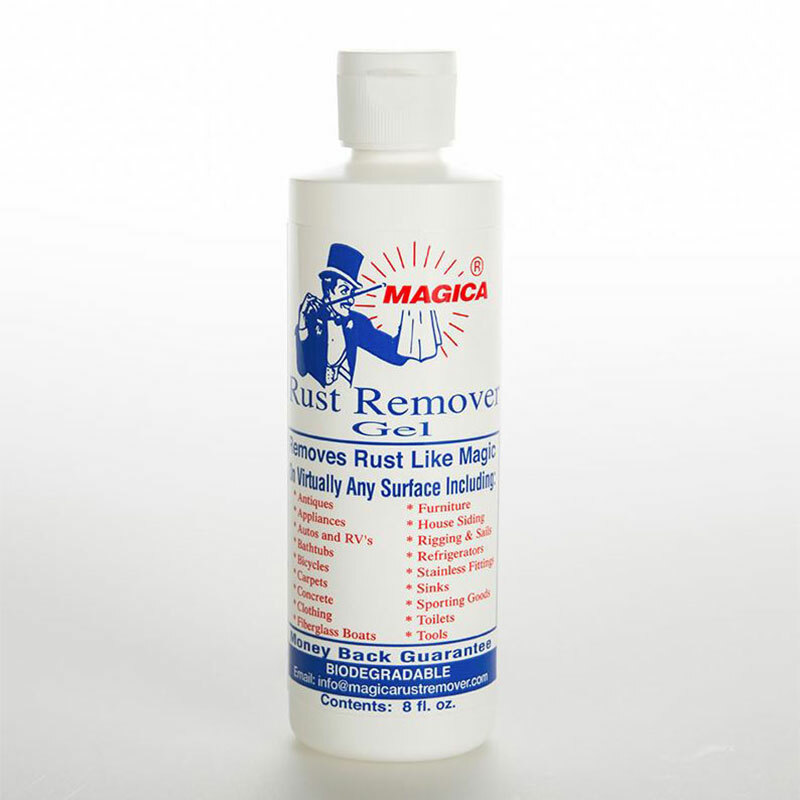 Magica Rust Remover gel does not contain any harmful or corrosive acids, so it is completely safe to use. The solution transforms the rust stain into harmless salts so they can dissolve and easily rinse away. It comes in a convenient, travel-size squeeze bottle to use for small areas of rust. Take it to the job site!